New from the Elite® Series, the Ravenna™ Contemporary Design insert puts the “aah” in ambiance with a beautiful flame presentation that’s amplified by reflective porcelain panels. The Ravenna™ Contemporary Designfireplace insert radiates style and warmth with dancing flames that fill the porcelain-lined firebox. Along with a stunning flame presentation that’s sure to get your attention, the Ravenna Contemporary Design delivers on performance with a full-featured Total Comfort Control™ remote and variable-speed blower. 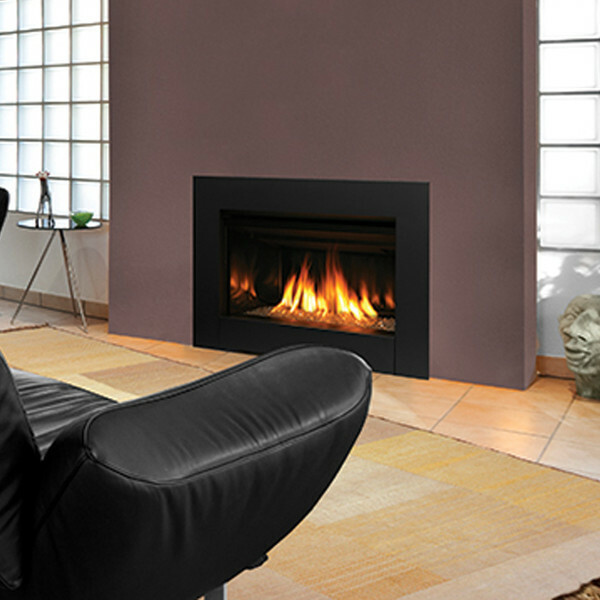 State-of-the-art burn technology produces a vibrant flame that infuses your living space with warmth and ambiance. Variety of face and media options are available to suit your style preferences. Stylishly reflective porcelain firebox liners add visual impact to the flame presentation. Approved for zero-clearance (metal) and masonry fireplaces. Electronic ignition system with battery backup—ignites and heats during a power outage. Variable-speed, 155-CFM blower provides powerful and efficient warmth. One-touch On/Off switch allows quick fire ignition and shutoff.